Since 1989, Sarah Dupree has been helping San Diego North County homebuyers and sellers realize their real estate dreams and goals and she absolutely loves living and working in the region. She is a firm believer in the enduring power of honesty and hard work. Specializing in luxury homes, Sarah has a deep understanding of the real estate markets in Carlsbad, Encinitas, Fairbanks Ranch, Rancho Santa Fe, La Jolla, Carmel Valley, Del Mar, and San Diego. She's more than familiar with their various neighborhoods and she makes it a point to keep up-to-date on the latest market trends as well as the newest developments in technology. Sarah also has extensive experience in working with international and out-of-state buyers and she is particularly adept at ensuring that all the i's are dotted and all the t's crossed. This eagle eye for detail helps make the entire home-buying and selling process faster and more efficient, which is something that her many clients have appreciated over the years. 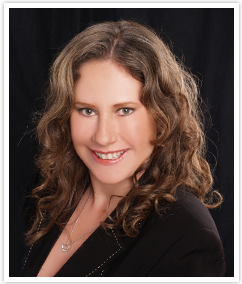 Apart from being a broker, Sarah is also a licensed, practicing attorney with almost a decade's worth of experience in navigating the intricacies of probate law. She brings a higher level of mediation and negotiation expertise to the table, to the benefit of her clients and frequently the other party as well. A proud sponsor of a local t-ball team, Sarah likes to be actively involved in the community and there's nothing she enjoys more than helping her clients discover for themselves what makes San Diego and the North County area a great place to live. Apart from enjoying fabulous weather year-round, the region is also very family-oriented and boasts great schools as well as plenty of opportunities for outdoor recreation. To get a better flavor of what life is like here, Sarah recommends that newcomers drop by Carlsbad's flower fields, the world-famous La Costa Resort & Spa, LEGOLAND® and the nearby outlet mall. Bring your dog to Del Mar's dog beach; say hi to the resident peacocks at Leo Carrillo Ranch and the seals of La Jolla; get a taste of downtown San Diego's hot nightlife; go swimming, surfing, sailing, hang gliding or horseback riding; and don't forget to check out the Hotel del Coronado and historic Balboa Park. Sarah invites you to explore the site to learn more about the region and its lifestyle and real estate offerings. If you need more insights or you're seriously thinking about buying or selling property here, feel free to get in touch with her anytime.